The Magnetic South Pole | Shackleton. 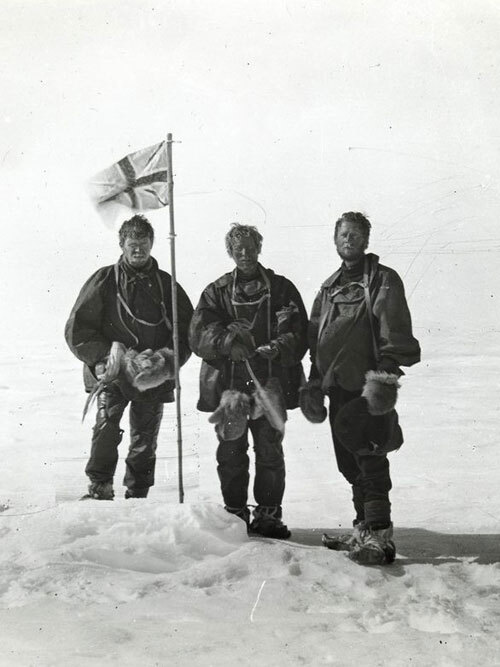 Right to left: Alistair Mackay, Edgeworth David (pulling string for shutter), Douglas Mawson. The Magnetic South Pole, 72º 25′ South, longitude 155º 16′ East, reached on 17 January 1909.